Update 2/5: As award season continues, it appears as though the stock of A Star is Born is dropping and dropping. While I still think it has an outside shot at Best Picture, Roma has risen to take its place as the consensus front-runner. The Best Picture race is rather up in the air, given the split voting from the guilds, but Roma and Green Book are rising to the top of the heap, with upset potential from the likes of Blackkklansman and The Favourite. Oscar season is in full swing, and the Best Picture race is heating up fast. 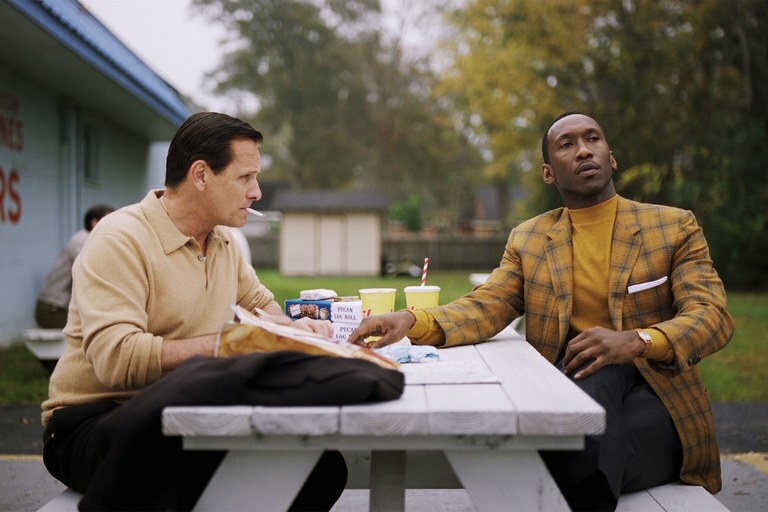 Green Book is on the rise. A Star is Born might be on the decline. Can Roma sweep? Will Black Panther upset? Or is it all ultimately too early to tell? The Favourite may be tied for the most nominations of the night (10), but the preferential ballot system may be its downfall in Best Picture. Yorgos Lanthimos doesn’t make films which are consensus favorites. In a scenario where front-runners like A Star is Born and Roma split the vote, The Favourite would need to be in that third spot more often than it probably would. Green Book, meanwhile, is a mainstream film. It cleaned up at the Golden Globes and picked up the coveted Best Picture precursor at the PGA awards. It is the right fit for that third slot. Of course, Roma was a heavyweight contender coming into the nominations. Now that it picked up 10 nominations, it is possible that the film will clean up where it counts. I still have reservations. Mainly, a film eligible for Best Foreign Language Film has never won Best Picture. Netflix has never won a Best Picture, either. Roma is the clear favorite to win the Best Foreign Language Film prize, and Cuaron will win for cinematography, if not for Best Director as well. In this scenario, Green Book and A Star is Born don’t necessarily need the Best Director nomination to win the top prize. The stock of other nominees are not as high as these three. Blackkklansman has upset potential, if the Academy feels it needs to remedy never awarding Spike Lee for Best Picture or Best Director. Black Panther was the reason the Academy initially wanted to create a Most Popular category, something they clearly did as a way of rewarding the film without giving it the prestige title of “Best Picture.” It’s a sign that Black Panther is a longshot. Bohemian Rhapsody won big at the Golden Globes. It is a showy, crowd-pleasing movie that the Golden Globes likes to champion. That said, the conspicuous lack of conversation around the film’s fired director at the ceremony is a sign of a precipitously falling stock. I don’t think the Academy wants to hand out awards to people who will ignore the name Bryan Singer, only to have massive backlash. Rami Malek could win, but the film won’t win Best Picture. Vice is the type of movie with the parts needed for Oscar nominations, but it is also the type of movie that doesn’t have the emphasis needed to win a category like Best Picture. Acting, writing, editing are all flashy pieces of Vice, but the film doesn’t have the weight behind it to win Best Picture or Best Director. I still think A Star is Born is the favorite, but it is not a sure thing. Bradley Cooper’s film hasn’t been winning where it counts up to this point, and a lack of a Best Director nomination is not a great sign. That said, Best Director has always been Alfonso Cuaron’s to lose, and if Best Picture isn’t going to Roma, then it seems likely to go to A Star is Born. Although, Green Book‘s prominence this awards season has baffled me, so perhaps I am underestimating its chances.